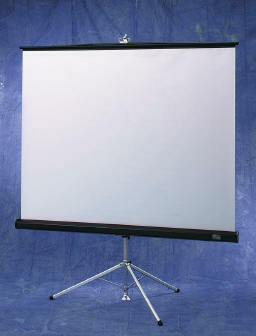 This portable projection screen combines simplicity of design, rugged components, and careful workmanship. Exclusive Bell Leg Lock protects the sturdy gabled aluminum legs during storage and transportation. Eliminates all risk of bent or broken legs. Releases easily for setup. One-hand case adjustment makes the Diplomat a pleasure to use. Suspension slat saddle in all sizes maintains a flat viewing surface. Black case with matching endcaps. Black leatherette zippered carrying case is optionally available. 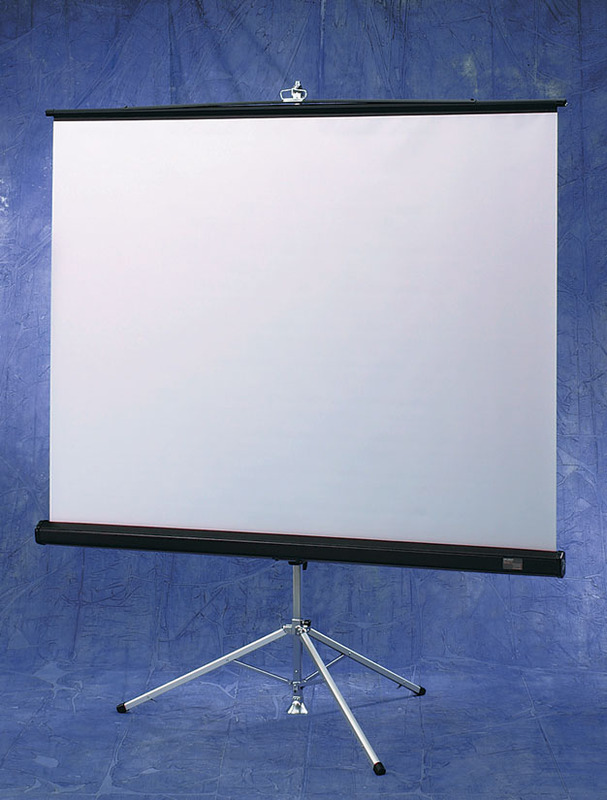 Built-in keystone eliminator extends 18". Hidden when not in use. The Diplomat combines simplicity of design, rugged components and careful workmanship. Easy setup and one-hand case adjustment make the Diplomat a pleasure to use. Features a built-in keystone eliminator. Exclusive Bell Leg Lock protects the Diplomat’s sturdy gabled aluminum legs during storage and transportation. Steel case and endcaps finished in black.